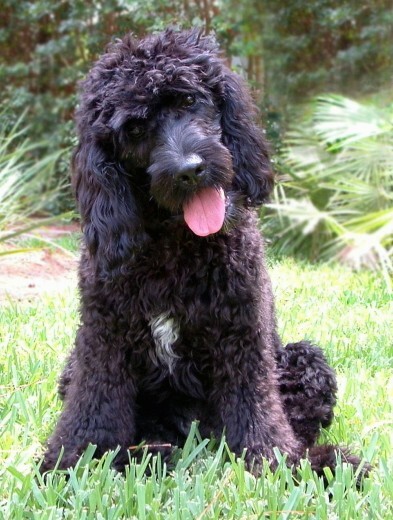 "Blackie my Standard Poodle / American Cocker Spaniel is 6 months old in this picture and is 29lbs and 19 inches tall from the shoulder. The vet expects her to be roughly 45lbs. Her paws are the size of bears!!! I am amazed at how smart this dog is and easily trained!! She's very laid back and excellent with my 4 yr old who wrestles with her all day. I would recommend this as a wonderful family dog!"